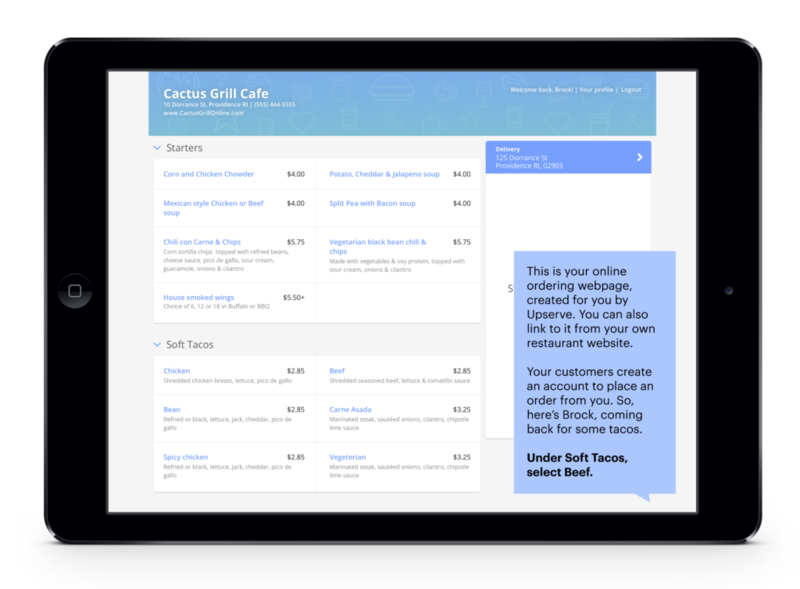 Get a Free Tour of Upserve Online Ordering! Take a free tour, no commitment. Explore what your restaurant guest will experience when placing an order online from your webpage. And, the smooth experience doesn’t end with the diner. There’s a sweet surprise for the restaurateur! So, go ahead, check it out. Please note – while our online ordering solution is designed for any device, including smartphones, we built your free tour on an iPad, so please use a tablet or your computer for the best experience.